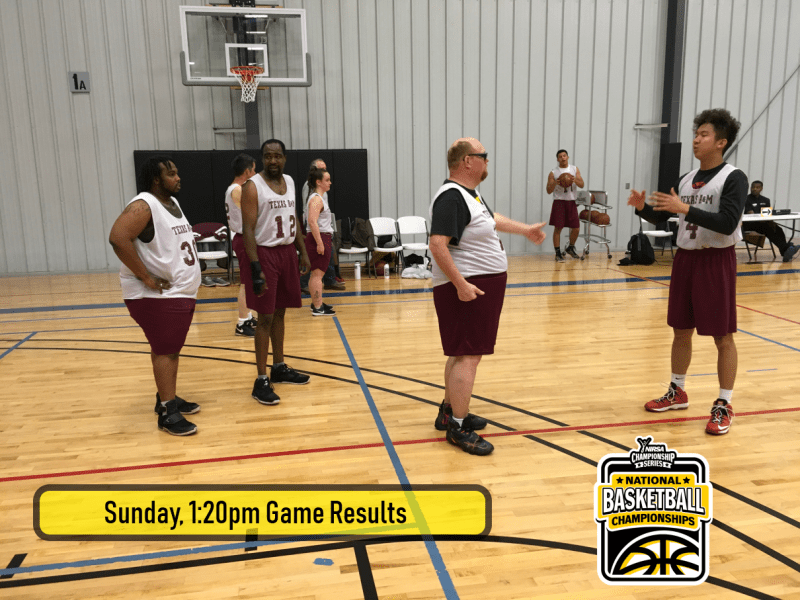 The Women’s Club National Championship tipped off between the Yellow Jackets of Georgia Tech and the Aggies of UC-Davis in a true East meets West showdown. The Yellow Jackets scored the first points of the game on a nice drive by Jennifer Harvey. As the first half went on the Aggies took control with an 11-6 lead. After a silky 3 pointer from the Yellow Jackets, they cut the lead to 2. On the drive for the Aggies #21 Sophie McFadin scored a tough bucket to make the score 13-9 Aggies in the lead. With three minutes left in the first half, the Aggies were up by 3 points with the Yellow Jackets hot on their trail. 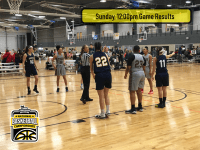 As we closed out the first half of the Women’s Club National Championship, the Yellow Jackets trailed the Aggies 20-16. In the second half, Georgia Tech came out swinging with a set play and scored on the drive. 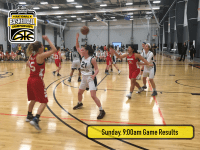 Despite Yellow Jacket’s tenacity, Sophie McFadin of the Aggies scored back to back 3 pointers that put her team ahead by 7 with less than fifteen minutes to play in the game. Georgia Tech’s Olivia Williams had a nice drive inside, sank a free throw, and on the next possession stole the basketball to help close the gap for the Yellow Jackets. With less than seven minutes left to play, the Yellow Jackets trailed 28-34. After a scoring drought for the Aggies, the Yellow Jackets took advantage and cut the deficit to 2 points. With UC-Davis feeling the heat, they called a timeout to reset. Two minutes left in the game, the Aggies lead 34-32. On the inbound, a shot goes up from the Aggies and the Yellow Jackets grab the rebound. 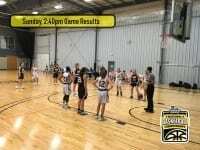 They take it up the court and with a nice pass inside from Myra Lattimore, Kate Delaney scores the tying basket. After a missed shot from UC-Davis, Georgia Tech wins control of the basketball with thirty seconds left on the clock. Georgia Tech calls back to back timeouts to strategize and with three seconds left Myra Lattimore drives to the basket, draws the foul, and the basket is good. Myra drains the free throw and for the first time in the half, the Yellow Jackets have the lead with four seconds left on the clock 37-34. As the Aggies bring the ball up, Michelle Le Haie of UC-Davis is fouled on a 3 point attempt and goes to the line to shoot three. After making the first, she misses the second. Attempting to miss, Le Haie hits the backboard and Georgia Tech secures the ball. For the Aggies, Ariyanna Cashen went for 7 points, 8 rebounds, 1 assist and 1 steal. For the Yellow Jackets, Myra Lattimore 7 points, 5 rebounds, and 3 assists. As time expires, the Yellow Jackets raised their arms in celebration and prepared to cut down the nets as the 2019 Women’s Club National Champions. 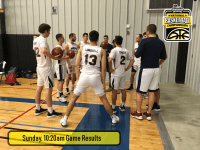 Stay tuned for our fifth and final National Championship game in the Men’s Club Division between Houston Community College and Ohio State University. Follow us on Instagram and Twitter @nirschamp for updates on the action!